KM Effects Ltd has a Workshop that caters for projects of all sizes. The Workshop is spread over 4 large industrial units with each unit specialising in different areas of production. 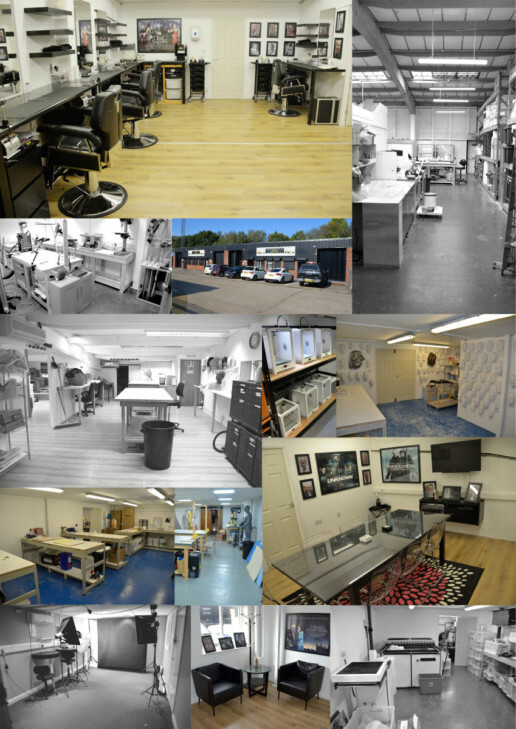 Our substantial facilities include offices, mouldshop, lifecast suite, sculpting studio, painting, wig, fabrication, 3D printing and scanning, meeting rooms, development rooms and specialist rooms available to hire, for pre-production makeup/prosthetic testing. The Workshop is situated close to the Warner Brothers Studio at Leavesden and ideally situated for all other major UK film studios, with great public transport links to the centre of London. We comply with all up to date Health & Safety regulations at all times.